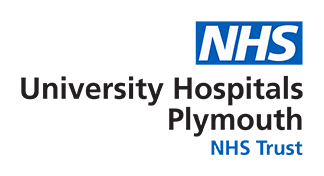 Plymouth is a specialist tertiary cancer centre which covers a population of 480,000 across Devon and Cornwall. We have both an inpatient ward and an outpatient chemotherapy unit. Brent Ward is an acute 31 bedded inpatient cancer ward which cares for patients who are admitted for chemotherapy treatment, radiotherapy, symptom management and end of life care. We work closely with palliative care, the acute oncology team, dieticians and other members of the multi-disciplinary team. Lyd Unit is our chemotherapy/systemic anti-cancer therapy (SACT) day-case unit. We are open from 08.30-19.00 and treat patients with chemotherapy/SACT, IV infusions and blood transfusions. We also run an outreach service three days a week which takes our chemotherapy facilities to more rural settings. There is also a very active research department supporting our cancer treatments. Our cancer services include a Macmillan Centre called the Mustard Tree which provides a fantastic support facility to our patients. This offers everything from a quiet space to counselling, treatments, financial advice to art therapy and mindfulness classes. Our Oncology Team is a really supportive friendly team. We will provide all training on both the ward and day-case unit to ensure you are supported to deliver the best care. There are a large number of nursing roles within oncology including Clinical Nurse Specialists, Acute Oncology Service team, research nurses, Specialist Palliative Care and more recently Advanced Nurse Practitioner and Nurse Consultant roles. We support all staff who want to further their education, there are regular teaching programmes within the Mustard Tree Macmillan Centre including ‘What is Cancer,’ ‘Cancer Treatments’ and ‘Communication’ study days which are on offer to all healthcare staff. We also run an annual ‘Oncology Degree Module’ through Plymouth University which a number of staff have successfully undertaken.